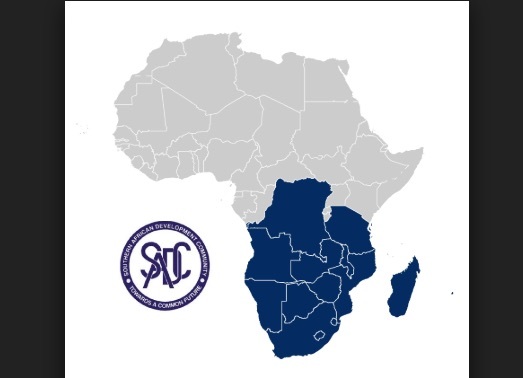 Southern African Development Community (SADC) delegates will come together for a high level engagement regarding the role of women and youth in strengthening peace and security in the region, on March 14, in Namibia’s capital Windhoek. The discussions will promote the Declaration of Peace and Cessation of War (DPCW) and a culture of peace, said Media Coordinator of the International Peace Youth Group (IPYG), Roberto Goreseb on Wednesday. Namibia’s Youth Council and the IPYG and other partners will host the event on the margins of the SADC Council of Ministers meeting, set for March 15 to 16. Goreseb said the participants will discuss topics that include collaborative governance and the role of women and youth in promoting peace and security in southern Africa and the rule of law and a culture of peace, and the values of the DPCW as a solution to violence and intolerance. “The expected outcomes will be that participants will be able to identify the current role women and youth are playing in promoting peace and security and the results of these efforts,” he added. Currently in Southern Africa there are three countries that have given national support to adopt the DPCW including Eswatini, Seychelles and Comoros. The expected outcome of the meet is that the number of countries that support DPCW would be increased to include more countries of SADC resulting in the southern African region being at the forefront of the promotion of peace, he added. Eventually, political groups and forces, which were labeled as terrorist organizations by the Ethiopian government such as the Oromo Liberation Front (OLF), Ogaden National Liberation Front (ONLF), and Patriotic Ginbot 7, all came back home. In an effort to reinforce the move, the House of People’s Representatives (HPR) unanimously voted on a motion to rescind the designation of the Oromo Liberation Front (OLF), Ogaden National Liberation Front (ONLF), and Patriotic Ginbot 7 from its terrorists list. The political groups were labeled as ‘terrorist’ groups back in 2010 in line with the much controversial bill dubbed ‘the Anti-terrorism Proclamation (Proc. 652/2009), which is currently under revision. Taking the seriousness of this affair into consideration the OLF declared a unilateral ceasefire in order to accelerate the initiated peace talks to a successful conclusion. “We hope this temporary declaration of ceasefire will take us to the final declaration of bilateral cessation of hostilities once for all and the conclusion of the conflict,” the Front stated. In that regard, the Oromo Liberation Front instructed the Oromo Liberation Army (OLA), which has been operating all over Oromia, to implement the temporary declaration of the ceasefire. The agreement reached with the OLF was much publicized and a delegation headed by the Minister of Foreign Affairs, Workneh Gebeyhu (PhD) and President of the Oromia Regional State, Lemma Megerssa, traveled to Asmara, Eritrea to sign a peace agreement with the OLF, which aimed at ending the hostilities between the two. Lemma and Chairman of the OLF, Dawd Ibsa, inked the peace agreement on August 7, 2018, in Asmara. This marked an important milestone in the long political turmoil that shook the nation and the leadership of the ruling Ethiopian Peoples’ Revolutionary Democratic Front (EPRDF) to its core. The peace agreement between the two was considered by many as the beginning of an all inclusive peaceful political struggle in the country. However, to the contrary, the return of the OLF was marred by clash between its supporters and residents of Addis Ababa, which caused the death of many and the destruction of private and public properties around the capital. The clash in the city and other problems led political commentators and ordinary citizens alike to inquire about the contents of the agreement that the Ethiopian government signed with the OLF. However, the content of the agreement as not been made public and is still an enigma. Adding insult to injury, the government and the OLF started some verbal volleys over the matter of disarming the soldiers of the latter which also costs the lives of so many innocent civilians and the destruction of private and public properties throughout the country mainly in the Oromia Regional State. And hence the leaders in the region and at the federal level and the leaders of OLF started to blame each other for the breach of agreement. Be that as it may, many still keep on asking about the detailed contents of the agreement. While the verbal volley transformed into the clashes and confrontations, leaders of the OLF, in early October 2018, said that the OLF does not have a specific agreement with the government Ethiopia that requires it to disarm. Can peace be achieved between Ethiopia and Eritrea? However, in a statement that sounds like a response for the statement issued by the OLF, the Oromo Democratic Party (ODP) blamed the OLF for failing to implement the peace plan both parties had agreed upon, including the disarmament of the OLF. Amid such tensions between the two, the OLF complained that the government, particularly the military, is behaving and acting in a way that violates the points in the agreements, and it would not be responsible for any possible outcomes, which may emanate from such actions. At this stage many political commentators also started to ask the genuineness of the blames because, on the one side, the OLF has said that the agreement does not include disarmament and, on the other hand, it said that the OLF does not have any specific agreement with the Government of Ethiopia. The verbal altercations eventually transformed into minor skirmishes and it was reported that armed groups linked to the OLF clashed with the military and in some instances such in Western Wollega the army wing of OLF blocked roads and took control of some government offices. Such intensified clashes again led to another round of talks between the two sides so as to give a lasting solution to the problem. However, this time around, the negotiation was called by the Abba Gadaas, Hade Sinqe and prominent individuals from the region. 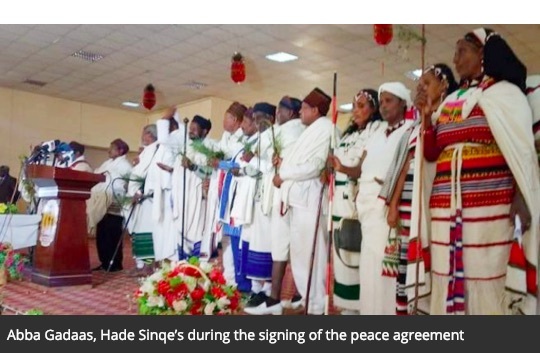 This round of talks seems to have been fruitful as the two sides again signed a peace agreement in the presence of elders from the region, Abba Gadaas, and Hade Sinqe. Following the agreement, both sides confirmed their commitment to bring peace, stability and order. Unlike the previous agreements, the recent one was agreed in the presence of a third party, which, according to many, might give negotiators a chance to review the development and implementation of the agreement. “The recent agreement is based on consensus and the leaders in the region – by using their position within the society – will try to bridge the gap between the two and bring them to the table to sign the agreement. Nonetheless, what are they going to do if one party breaches the agreement? Do they have any detailed and well-articulated mechanism to force the parties to comply with their words?” Wasihun asks. On the contrary, for Mulatu Gemechu, Deputy Chairman of the Oromo Federalist Congress (OFC), the presence of a third party especially the Abba Gadaas and Hade Sinqes give the agreement more sense and reason to be implemented. According to him the clashes and confrontations reached to this level because the agreements were not attended by a third party. 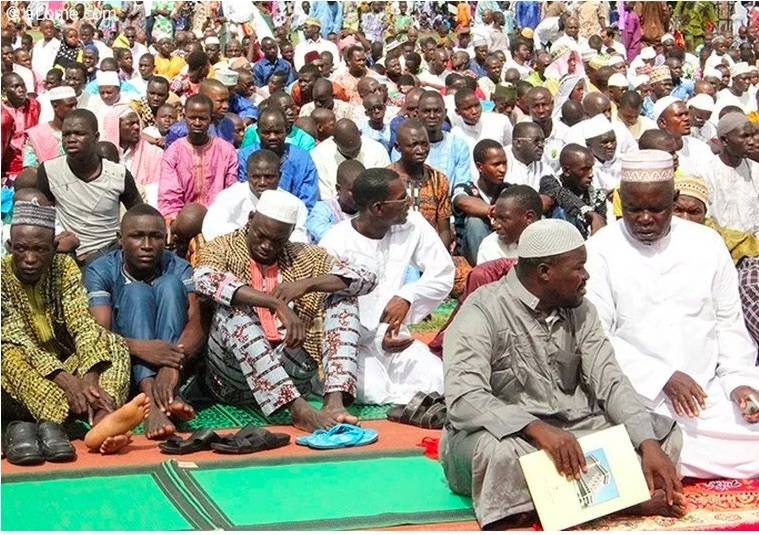 However, now, the Abba Gadaas and Hade Sinqes have played a pivotal role in bringing the two sides together and its up to them to monitor and pinch the one who breaches the agreement. On the contrary, Wasihun is skeptical about the implementation of the recent agreement and blames the federal government for its double standard treatment. 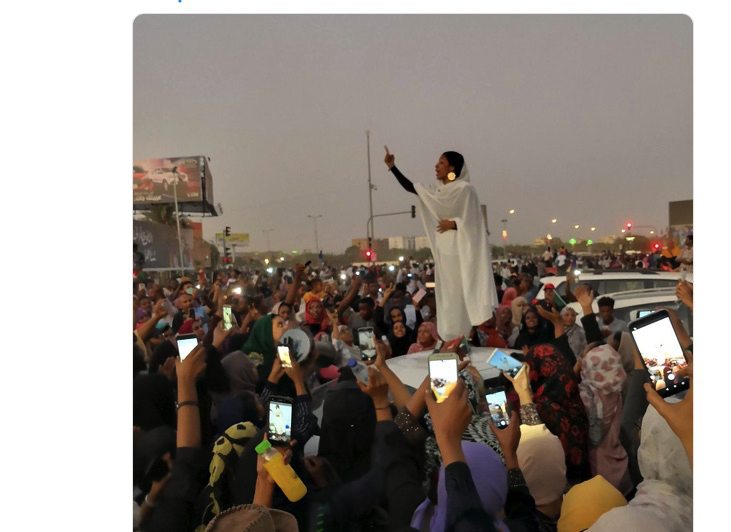 “The Ethiopian people have been told that all exiled political forces that entered the country did so to pursue peaceful and unarmed struggle for justice and democracy inside the country. However, it is not clear how and why the OLF has managed to stay armed and then complain against federal government troops movements,” Wasihun says. According to Wasihun, the federal government has the sole authority for carrying arms under the constitution. “If, indeed, the current government of Prime Minister Abiy Ahmed is turning a blind to this development, it is creating a dangerous precedent where other parties will also want to arm themselves, leading the country into further lawlessness and anarchy,” he says, criticizing the federal government for being too lenient on the OLF. Whether the federal government is too soft or not, the question that needs to be answered, according to many political commentators, is, what are the contents of the agreement that was signed between the two sides in Asmara and how long they will it stay undisclosed? 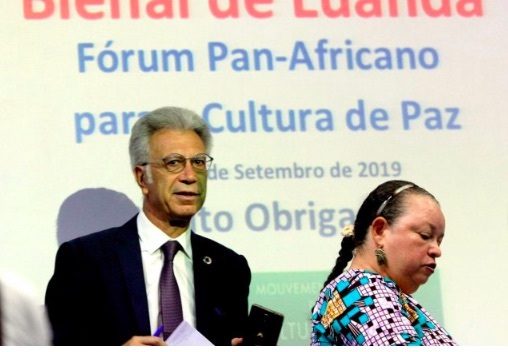 The Angolan Government presented this Friday the Biennale of Luanda 2019 – Pan-African Forum for the Culture of Peace, with a budget of more than 500 thousand dollars for “initial costs” in the framework of an agreement with UNESCO. Highlighting the contribution of African cultures to world peace through a wide variety of cultural expressions from the six African regions, including the fine arts, music, dance, theater and literature, is the objective of the Luanda Biennial, which will take place from September 18 to 22. According to the national coordinator of the Luanda Biennial, Alexandra Apatricío, during five days the meeting will gather reflections, as well as hold cultural and sporting events. 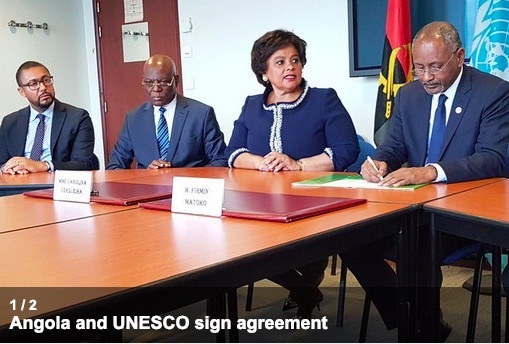 Under an agreement signed between the Angolan Government and the United Nations Educational, Scientific and Cultural Organization (UNESCO), the national coordinator of the biennial said that Angola “already has an initial budget set aside from funds already identified that is 505 thousand dollars “(about 440 thousand euros). “[The budget is] deposited for certain costs and we are currently collecting all the costs of all these actions and there are already large institutions in the country and other international institutions that have approached us willing to contribute to the actions of the Luanda Biennial” , he pointed out. According to the Angolan authorities, 12 countries, namely two from North Africa, two from West Africa, two from East Africa, two from Central Africa, two from Southern Africa and two from the diaspora are expected to be participants. “The idea of ​​this Biennial is to have a space where we can contribute to a culture of peace and violence prevention to create more actions, share, and exchange these moments that exist in other countries for sustainable development,” he said. The UNESCO representative at the meeting, Enzo Fazzino, also pointed out the relevance of the Luanda Biennial 2019 – Pan-African Forum for the Culture of Peace, which is an opportunity to find actors in conflict prevention in Africa. “The idea is to create a Pan-African Movement for the Culture of Peace that values ​​ongoing actions and that creates opportunities for these projects to gain more support,” he said. 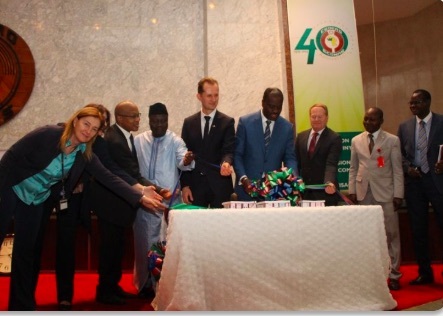 The Plans of Action (PoA) of the Economic Community of West African States (ECOWAS)’ Conflict Prevention Framework (ECPF) were launched on the 28th of January 2019 at the ECOWAS Commission headquarters, in Abuja, Nigeria. The Framework’s 15 Components with peace-building mechanisms, provide, among others, tools for strengthening regional and national capacities for preventing violent conflicts or their recurrence in the region. In his opening statement at the event, the ECOWAS Commission’s Commissioner for Political Affairs, Peace and Security General Francis Béhanzin noted that the ECPF was established for the realization of the dream of a stable and secured West African region with strong democratic institutions, resilient border security and an environment conducive to economic growth and productivity. Calling for the support and collective ownership of the Framework, Commissioner Béhanzin maintained that the ideal of a peaceful, progressive and prosperous region had been the main motivation of the ECOWAS Mediation and Security Council when it adopted the ECPF in 2008. According to him, beyond the ECOWAS Commission and Member States, conflict prevention is the responsibility of the citizens of the community, civil society activists, academics, civil servants and the international community including Ministries of Foreign Affairs and Diplomatic Missions. Introducing the broad objectives of the Framework, the Director of Political Affairs of the ECOWAS Commission, Dr. Remi Ajibewa remarked that what has been birthed is a solid platform for channeling partners’ cooperation to ensure stable, peaceful and more prosperous West Africa while enabling ECOWAS to consolidate on the peace building gains made so far. The Danish ambassador to Nigeria Mr. Jesper Kamp stressed that the government Denmark is supporting the ECPF processes in keeping faith with the strides of the regional community as an “indispensable organization for peace, security and governance across West Africa. Ambassador Kamp said further that the planned activities “provide a platform for youth as well as women. Only through the inclusion of these groups can we ensure that solutions are sustainable”. The keynote address of the Head of the European Union Delegation to Nigeria Ambassador Ketil karlsen resonated by painting the image of the ECPF as that of a noteworthy conflict prevention instrument. A presentation of the PoA made by the Commission’s Principal Officer, for Conflict Prevention Mr. Constant Gnacadja revealed the Framework as a comprehensive, operational, conflict prevention and peace-building strategy that is a harbinger of hope through a timely resolution of conflicts in the region. The PoA are to drive the activities of the 15 components of the ECPF which are: Early warning, preventive diplomacy, democracy and political governance, human rights and rule of law, media, natural resource governance, cross-border initiatives and security governance, Women, peace and security, youth empowerment, ECOWAS Stand-By Force, Humanitarian assistance, peace education (Culture of peace) as well as its Enabling Mechanism. The ECPF processes are being supported by the Danish International Development Agency (DANIDA), the European Union (EU) among others. The year 2018 was marked by strong tensions associated with national elections in the Democratic Republic of Congo (DRC). On the side of power (the rulers), there was no desire to organize these elections and they sought by all means how to circumvent them. One of their strategies was to offer one of the opposition leaders the post of Prime Minister, which would allow them to extend the term of office of those in power. This would have bypassed the election agreements of Saint Sylvestre that had been agreed on 31/12/2016. The electoral center, an accomplice, proposed the delay the dates of the election, hoping to provoke a popular uprising that would enable them to declare a state of emergency and simply cancel the elections for a later date. Also to circumvent the elections, a coup d’etat was prepared, the army and / or the National Police would take power by force for a few days as was done in the past with Kasa Vubu and Mobutu after independence, enabling them to declare the impossibility of organizing elections as a result of insecurity. One reason given was that the Congolese people do not have experience with voting machines. One of the proponents has even stated that he needed 6 minutes to use it, and he felt that those who do not master computers would need more or less 20 minutes. Another argument was that by manipulating the computers, the results could be determined in advance by programming it so that each vote would be counted 3 or 5 times for one of the candidates. All this was said to discourage the people from going to vote, to sabotage the elections and allow those holding power to cling and extend their power. Finally, the voter turnout turned out to be low at only 37%. In brief, this was the context in which your Association “J.F.D.HO.P” went to work. Sometimes, security guards would charge us for being supporters of KAMWENA SAPU. But they ended up freeing us when they could not find any indication of KAMWENA SAPU supporters. Several activities were organized to offer the population to go to the polls and vote. A motorized caravan was organized in October during the submission of applications, encouraging women to come forward, and to realize that they are the majority of the population. This caravan organized for 2 days in Kimbaseke, Ndjili, Makala, Nsele, part of Maluku, Masina, Ngaba, Limete and Matete. During this period, doubts hovered over the heads of the Congolese people. Everyone supported the elections but the voting machines were called “machine to steal” and this did not inspire confidence. Faced with this situation, your Association organized a morning with the Youth at the Church of God’s Elect at Residential Limit 13th Street to discuss the subject of elections. The theme was “Democracy and Elections”. The Association urged the youth not to give way to discouragement. They must seize the opportunity because their future depends on it. In turn, the young people gave us the mission to bring them the information about whether they were really”machines to steal”. 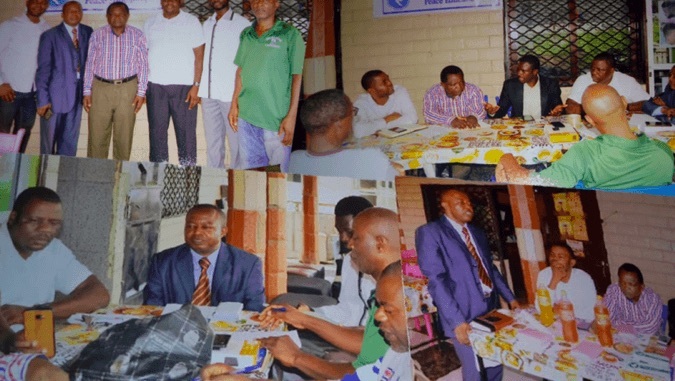 Your Association attended the sensitization on the voting machine in Ndjili [a municipality in the Tshangu district of Kinshasa] and we had the opportunity for the first time to use the voting machine and to ask the necessary questions. After this session, your Association has once again convened a meeting, this time also inviting the elders as well as youth. We explained to them how to vote with the machine. Young people as well as old people who have android phones quickly understood. For the others, it was necessary to explain them more. And, we asked the participants to reiterate to others, to convey the information that the machine is not complicated, it is enough to have in advance the numbers of your candidates, in which case everything is easy. It is more complicated and takes longer if you have to look for the number of your candidates. But the tension was increasing around the voting machine. One of the leaders of the opposition declare openly that they would sabotage the machines. 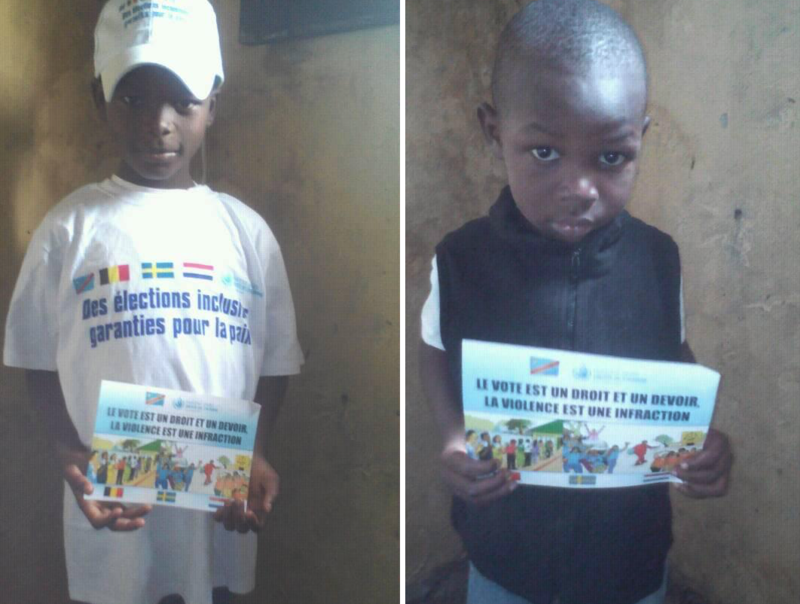 Faced with this situation, your Association with the support of the United Nations Joint Human Rights Office distributed T-shirts with various messages of peace, (among others: voting is a right and a duty; violence is a crime; your choice in the elections; it is the Congo of tomorrow; Election yes! violence no!, etc.). Your Association went to meet with youth associations in Kasavubu, Limete, Makala, Kalamu, Kingasani, Masina, Ndjili, Mont-ngafula and Nsele to exchange and give these messages in the churches and finally with the activists of the political parties. We first went down to the UDPS / Tshisekedi headquarters at Limete 10th Street. We exchanged with the militants of this party and distributed to them the messages of non-violence and peace. To avoid being confused with the candidates to the elections and to avoid being stoned by the population, the members of the Association wore the T-shirt when going to the peripheral districts of the city of Kinshasa such as Malueka, Kimbaseke, Ferbois , Siwabanza, Makala etc.) At bus stops, markets, etc. we distributed messages and spread this message of non-violence and peace. A strong sensitization was also made to the Church of the elect of God in Limete 13th Street by the president of the Association Mr. Medard du Rocher-BOPE. Your Association has also used social networks (facebook, etc.) for a wide dissemination of message. The postponement of the elections from December 23 to December 30 further sowed doubt about effective organization. Your Association, always close to young people, reassured them by reminding them of the will of the International Community to bring our country to the organization of elections. Finally, J.F.D.HO.P are volunteers. After voting, they circulated in different polling centers to see what was happening and to assess the degree of violence. Some of our members were in the center until the results were posted. Lesotho: Is 2019 a year of peace in our schools as peaceful school model takes shape? “Students’ enthusiasm in learning has been unleashed by peaceful school model”. This was said by teachers at Fusi and Hareeng teachers at the plenary session organised by Development for Peace Education in Maseru on the 11th December 2018. They shared how the students took a lead on different activities they were assigned responsibility on. Molefi Pakiso teacher at Fusi Secondary, Senekane Community Council in Berea shared his excitement “ through the effectiveness of sports minister the school is now engaging on sports activities unlike the past years….”..
Madam Joalane Sekoati from Hareeng High School said she was amazed by one of the campaigners who used teachers’ dodging of classes as his promise message. “one of the students who campaigned for the position of education minister stated that he is going to ensure that a teacher who may miss his/her lessons will pay for those lessons missed…… that made every teacher to attend lessons to avoid further embarrassment ….”. She said. A total of 12 schools in the 8 DPE areas are ready to have students’ elections in the first quarter of 2019. This shall be preceded by leadership orientation on peaceful school model that shall take teachers and principals including those not directly involved.This shall make all DPE areas have functional peaceful school models. It is anticipated that schools will deal better with conflicts and employ peaceful strategies to address problems. Involving students positively will enhance school performance. 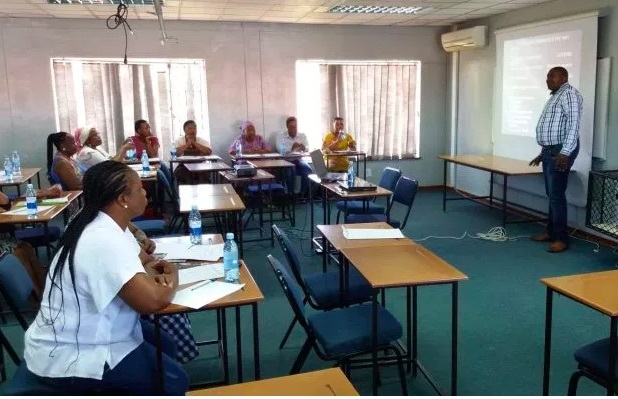 The baseline study on how these schools deal with conflict and how students are allowed and enabled to participate in the creation of peaceful learning environment is underway. It shall be used against what would have been achieved in the next 18 months. This initiative is proudly supported by Bread for the World.